A special bedroom was created in the style of the Hollywood Glam era by using two shades of silver paint, one mat and one high gloss on the walls. 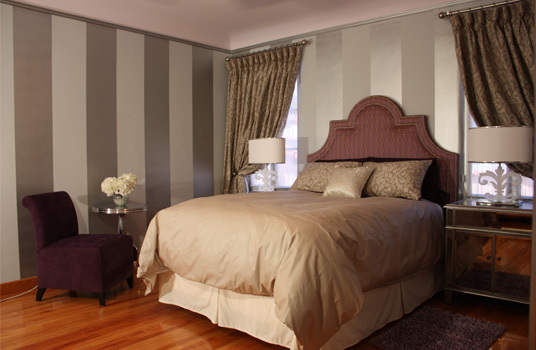 The custom silver leaf drapes frame the custom upholstered purple headboard accented with chrome nail heads. The coved ceiling is painted lilac. The furniture pieces complete the design.